We recently got word of a very interesting project taking place nearby in Spring. 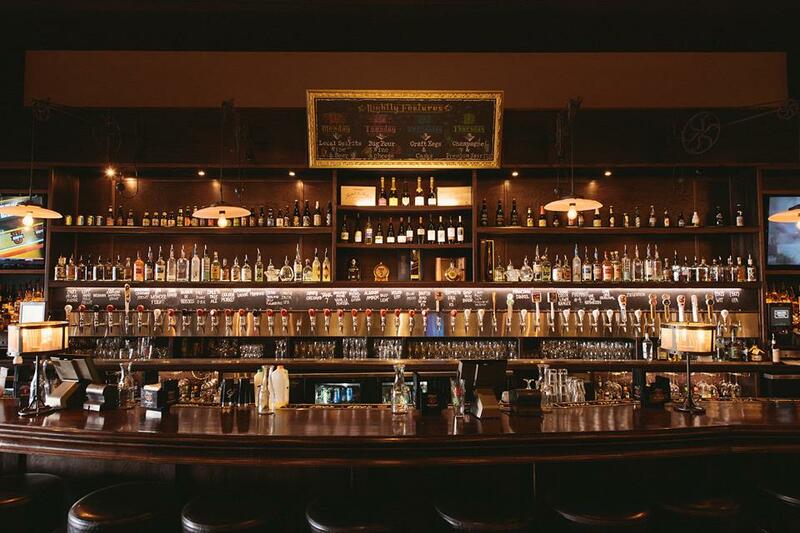 On the Rox Sports Bar, an established neighborhood bar, was turning over its kitchen to a talented local chef, Jeff Wetzel. Jeff has a broad background in the kitchen, ranging from casual to fine dining to the country club scene. We’ve eaten his food before, and Jeff is a very capable cook, but we wondered how his cuisine would translate into a bar setting. Bars are interesting places for food. Great bars often have mediocre food, and bars that specialize in great food are often not very good bars. Also, bar patrons typically don’t want the kind of dishes that talented chefs like to create; they’re often too fussy and require too much attention to eat. 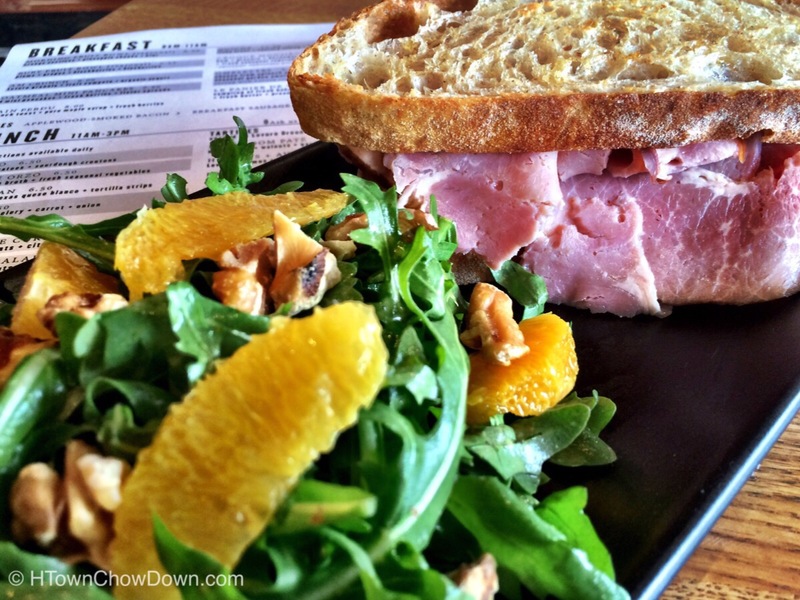 Bar food needs to be easy to eat, satisfying, and based on something familiar. How would this talented chef tackle this challenge? We went in to find out. Jeff invited us to sample the food from his upcoming menu; he plans to roll out these dishes on April 6. First up was a starter, and it got my attention immediately. 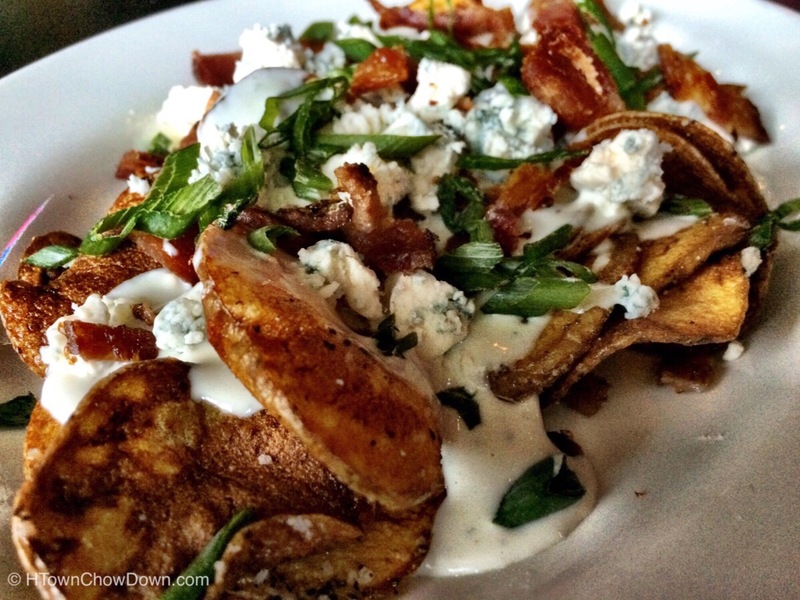 Naughty Bacon Bleu Cheese Chips consist of fresh, hand-cut potato chips, chunks of applewood-smoked bacon, and chives. It’s all covered with a creamy bleu cheese sauce, and chunks of fresh bleu cheese. While similar in concept to the signature appetizer at Jasper’s the addition of bacon and chives takes this dish to the next level. We were off to an auspicious start. Next up was the bar staple – buffalo wings. We’ve sampled dozens of versions of buffalo wings, and few measure up to the original. For us, the flavor of Frank’s hot sauce is a Platonic ideal for buffalo wings, and the farther away you get, the more the dish suffers. Jeff puts his twist on the iconic bar dish by smoking the naked wings, combining a handful of chives, and then dressing them with… Frank’s hot sauce. That’s a tough decision that goes against the instincts of a man who can create great sauces, but it’s the right one. We approve. After these appetizers, it was time to get to the main course(s). Jeff presented his take on the BLT – he calls it the Bloody Mary BLT. It’s built on a foundation of in-house baked rosemary bread, dense and slightly crusty. On this tasty base he layers applewood-smoked thick-cut bacon, celery root slaw, and slices of beefsteak tomatoes marinated in Absolute Peppar vodka. The BLT is finished with chive creme fraiche, and a tangy balsamic syrup. This became quickly one of our favorite BLTs; the layers of flavors formed a complexity that typically isn’t seen in this lunch staple. The herbal rosemary combines with the smoky, savory bacon, and the blast of acid from the balsamic, reigned in with a touch of sweetness, was masterful. 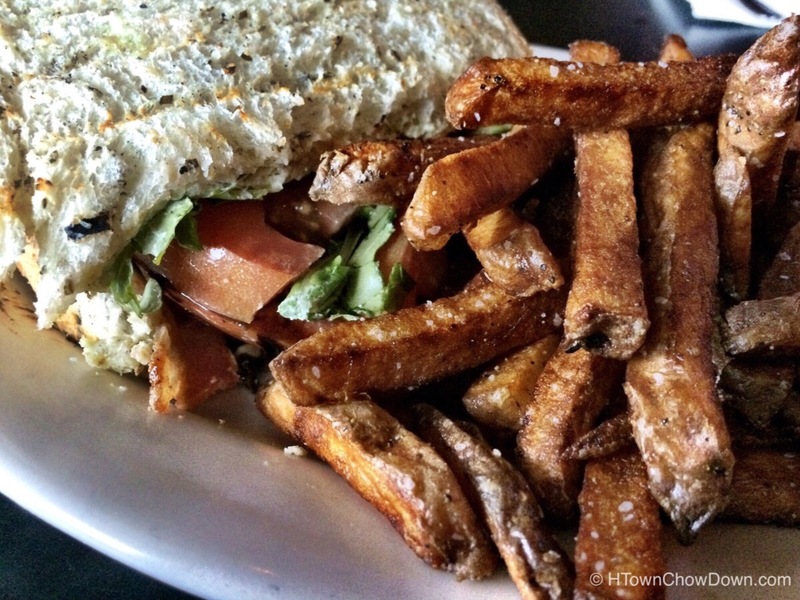 The sandwich was served with fresh-cut fries, expertly fried. Good fresh-cut fries are tough to make, and apparently Jeff sold his soul at some point, because he has been entrusted with the secret. Continuing the sandwich theme, we dug into the Puerco Sucio. The formula is simple: Take seared confit pork belly, dress with chipotle aioli. 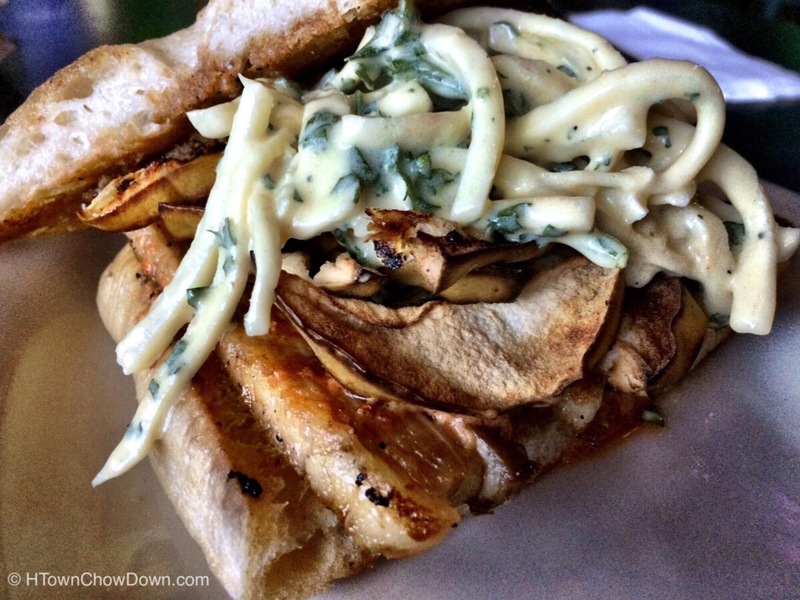 Combine with slices of baked apples and a bit of celery root slaw, and serve on housemade ciabatta. The resulting sandwich is much leaner than the pork belly you find around town, and we found the better meat-to-fat ratio to be a good one. The smoky pork played off the sweet apples and the creamy slaw, and the result was a very good sandwich. Our final sandwich was a new twist on the humble chicken sandwich. 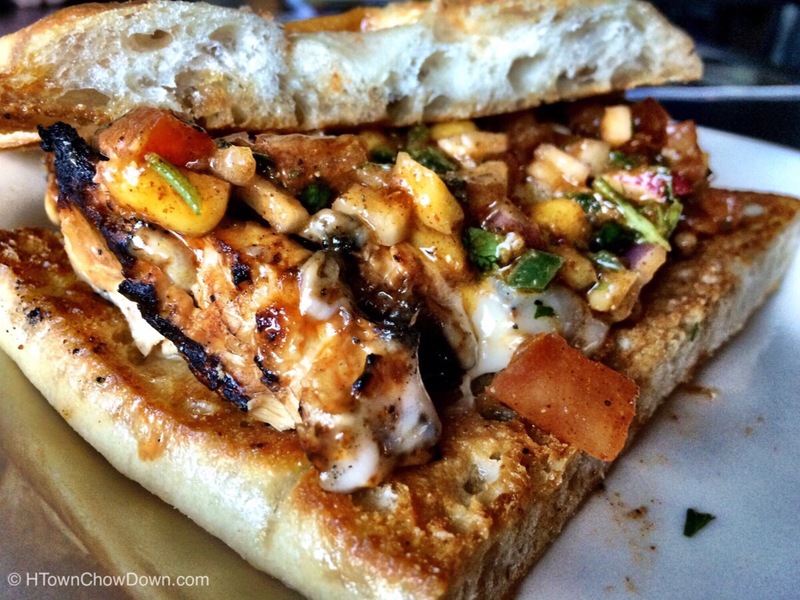 Called Pollo Loco, an adobo-marinated chicken breast is chargrilled, then dressed with havarti and mango radish salsa and presented on ciabatta. Chicken sandwiches can be boring, but this one was not. The mango radish salsa was an inspired choice; again, a complex, layered flavor profile makes for an interesting dish. Jeff could sense that we were nearing capacity for the tasting — it was tough not to finish each of the dishes he put in front of us. So he brought out one last item to try, a simple flatbread. 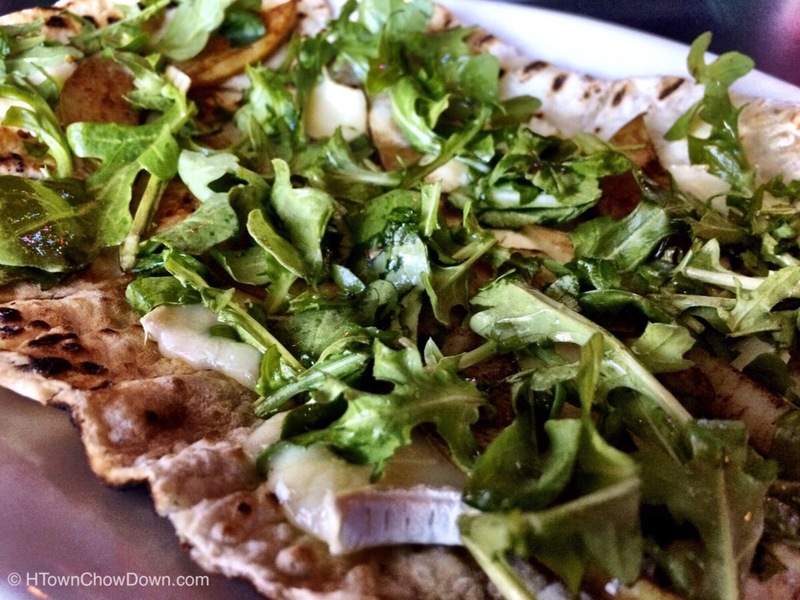 On top of the housemade flatbread were slices of pear, melted brie, and a generous helping of arugula, all drizzled with high quality white truffle oil. 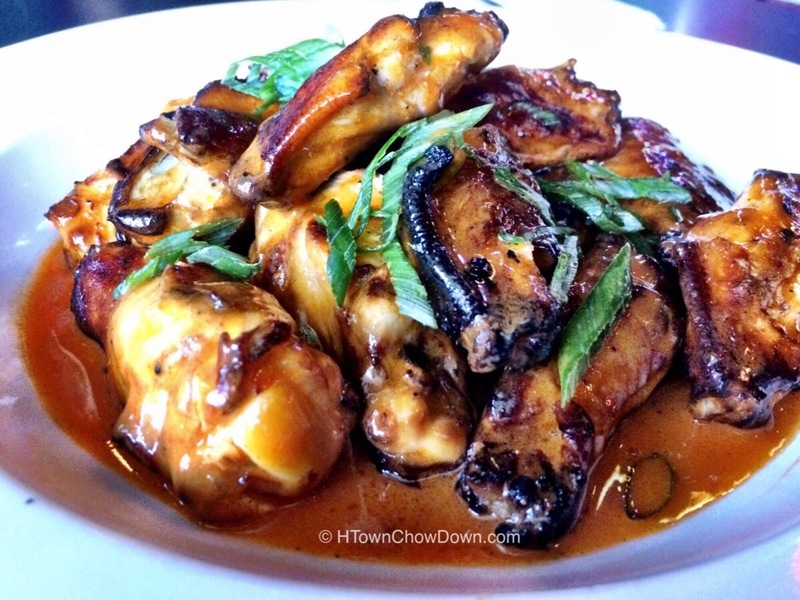 This was a refreshingly light dish, refreshing yet hearty enough not to leave us craving something else. We went into Chef Wetzel’s tasting with a good degree of skepticism, but this talented chef dispelled it handily. He showed his chops, and delivered elevated version of classic bar food that would be right at home on the lunch menu of a fine restaurant. We look forward to sampling more of his creations in the very near future. cant wait to get Laura and Janet and maybe Travis if he’s around and come try some of your new flavors! All sound Delish! Why did his place fail in Magnolia? What happened? Jeff left to pursue other opportunities.